Unfortunately he doesn’t elaborate on exactly why he doesn’t think this should be the final season. Which makes the comment even stranger and creates many questions we likely won’t have answers to for a long while. 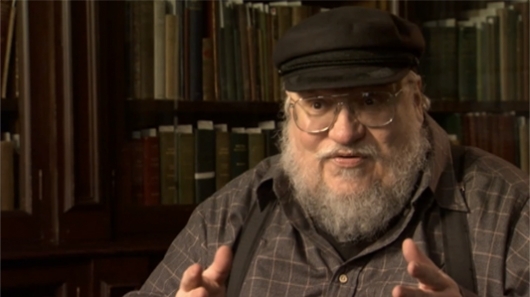 We’ve known since it became clear that HBO’s Game of Thrones was going to catch and surpass Martin’s novels that the show would be spoiling things from the books, and that series creators David Benioff and D.B. Weiss were told how the story would end by Martin himself. But if that’s the case, why would Martin think it’s too soon to end the show? Is there a lot more to the story he feels should be covered before reaching that end? Or has the ending changed for him since first sharing it with Benioff and Weiss? I’ve always wondered if Martin might veer off in a different direction from the one he was originally traveling in once the show passed his books. With two more entries in the planned seven-book series still to come, who knows where he might go with it and how well it will ultimately match up with the show. Obviously there will be plenty of differences between the two when all is said and done (as Martin points out in the chat with THR, the show has killed off around 20 characters who are still alive in the books…at least for now), but I’m not sure how I would feel if the show and the book series had two completely different endings. That’s entirely up to Mr. Martin at this point, so it will be interesting to see how things play out. If you think waiting a couple of years for a new season of the TV series has been tough, try being a fan of the books. It’s been nearly eight years now since the release of the last entry, A Dance with Dragons, with no release date for the next book, The Winds of Winter, in sight. Which hangs a great big question mark over the status of the seventh and final book (if it ultimately ends up being the final one), A Dream of Spring. But hey, books two and three, A Clash of Kings and A Storm of Swords, came out in 1999 and 2000. Perhaps old George has sneakily set it up so that the next two books will release in back-to-back years! OK, don’t get your hopes too high on that one. You can head over to THR for more of the chat with George R.R. Martin, and click right here for much more on Game of Thrones including the trailer for the final season.